An eerie fog rolls in and the full moon is on the rise - the mood has been set for a spooky surprise! Then the puppies arrive all dressed up and ready to play for Halloween. 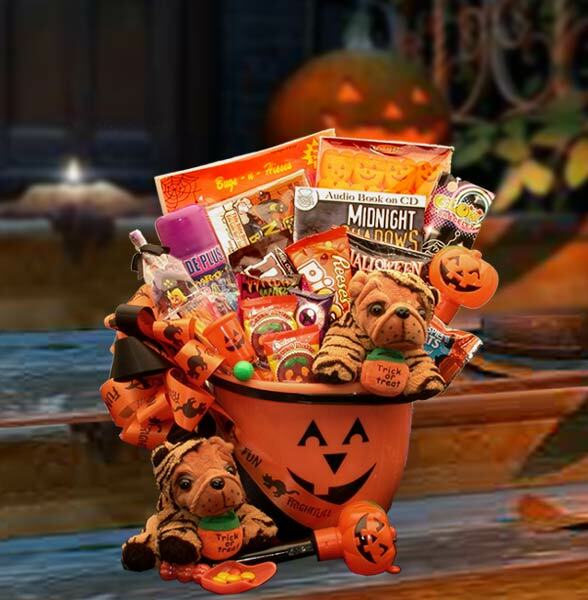 A plush pug faced puppy dressed in disguise delivers a spooky surprise pail filled with Halloween treats!